There’s a lot of buzz around the Artificial Intelligence. Its smart algorithms can perform complex functions that humans associate with other human minds, such as “learning” and “problem-solving” which are ultimately meant to make our everyday life much easier. Well, we already know AI is widely applied in the educational, medical and financial field, but today we are going to take a closer look at AI web-service whose main goal is to help you with one of your vital needs – get your dream job. With Skillroads your job search will become more effective and pleasant. And what is even more encouraging – AI builder is available for free. Sounds promising, isn’t it? Let’s check it out. Young job-seekers and postgraduates with no or minimum work experience. Experienced top managers and executives who are looking for a new life-changing career opportunities. Job switchers trying to adjust their resumes and become more competitive in today’s labor market. Everybody who has already been employed and now are in search of better job opportunities and want to upgrade their resumes. How to use Skillroads AI builder? Click on “Boost my career” button on the main page, fill in the sign-up form and choose “Get free resume” in AI Resume Generator block. You can also try Smart Resume Review if you want to receive free resume critique and check whether your resume complies with the resume writing standards and doesn’t contain any typos. Next, fill in the information required. Information blocks include your objectives, highlights, education, previous work experience, and achievements. All you need to do is to specify your college degree and previous job experience. You don’t have to waste time describing your job responsibilities – you will be offered to choose from a list of relevant competencies. Moreover, you can specify the rate for each of your professional tools. 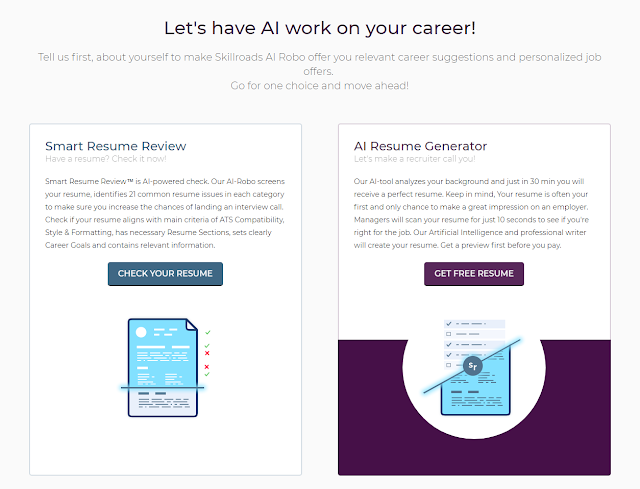 AI-powered system will create your brand new customized resume in 30 minutes. To receive watermark free document and be able to create an infinite amount of sharp and well-structured resumes, you should be using the paid account. Professional resume writers will make your resume capture recruiter’s attention and beat the Applicant Tracking Systems. Your perfectly optimized resume proceeds to the next round getting you a chance to show your best at the interview. It is proved that hiring managers pay more attention to those applicants who can give a bunch of good reasons showing their interest in a position. A well-crafted personalized cover letter will increase your chances to stand out and earn more points from the recruiter, especially at the entry-level positions where the competition level is extremely high. You can significantly complement your resume with a hit LinkedIn profile. Also, more and more recruiters screen you on LinkedIn and may add you to the contact list for the future consideration. LinkedIn resume builder will help you to get an eye-catchy professional profile to increase your visibility and attract more recruiters to your online resume. Another way to stand out from the crowd is to choose a nice looking template. 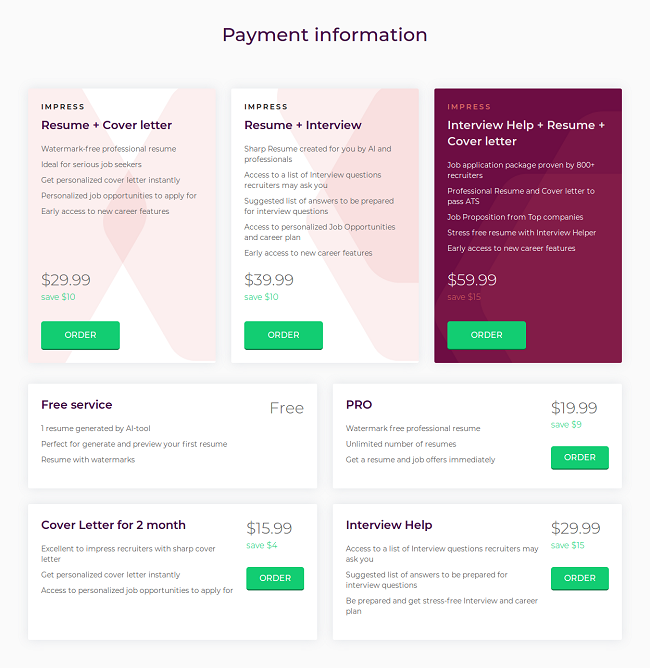 Its pure lines and minimalistic design will highlight all the necessary information about your professional background and increase your chances of getting an interview. Now that you’re equipped with a well-structured and tailored resume you’re ready to send applications. Don’t waste time and find out about the latest job openings from Fortune 500 companies at the Skillroads job board. Effortless resume making: All you need to do is specify your education and job experience everything else is up to AI. The builder does all the hard work. Also, the first resume is available for free. Free resume checker: If you need any advice on your resume – try resume review. Useful recommendations from writing experts will help you to avoid structural mistakes, typos and increase your brevity. Whole package: There’s no need to say we spend a hell of a lot of time searching for information on the Internet. That’s why it is so important to find everything in one place – your resumes, cover letters, professional resume tips, and personalized job board. Resume generation limits: Free resume generator can only be used once. Moreover, you will receive your resume with a watermark. To get watermark free document and be able to create an indefinite amount of resumes, you need to access PRO account. 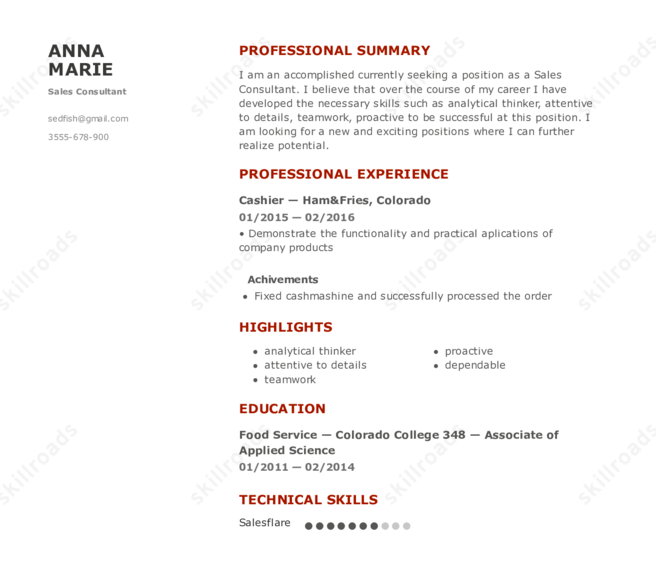 Creative resume designs: There’s a limited amount of creative resume templates and no opportunity to craft your design. Artificial Intelligence is used for different purposes – text and voice recognition, linguistics and semantic search, big data and computer vision – we can continue this list indefinitely. 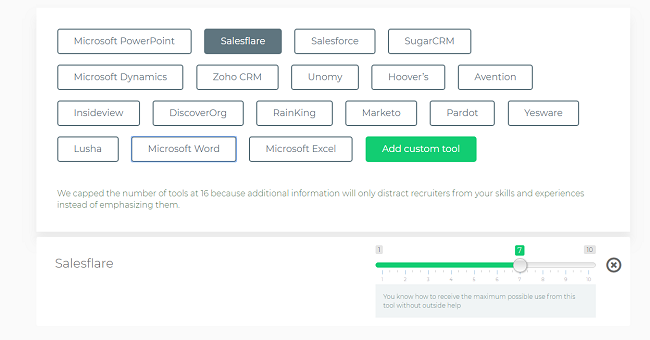 Guided by this latest trend Skillroads have created AI career builder – smart service designed to help you to get a job. You will find all types of services and tools vital to your career development; besides that, you will receive useful resume writing tips from experts, which will guide all the way to your final step. Whether you are a young professional or an experienced job seeker, you will be able to receive the best version of your resume without wasting your time. Be ready to receive phone calls from the recruiters but don’t forget that everything you’ve mentioned in your resume should be confirmed at the interview.